Discolored and dark underarms is a very common skin condition. There are a number of factors that can lead to this skin condition like the use of deodorants and antiperspirants which can cause make your underarms dark. It can also happen because of the clothing or frequent shaving. But, thankfully we have got natural ingredients that can help in treating this skin condition naturally and effectively. So, in this article, we have listed some natural scrubs to lighten dark underarms. 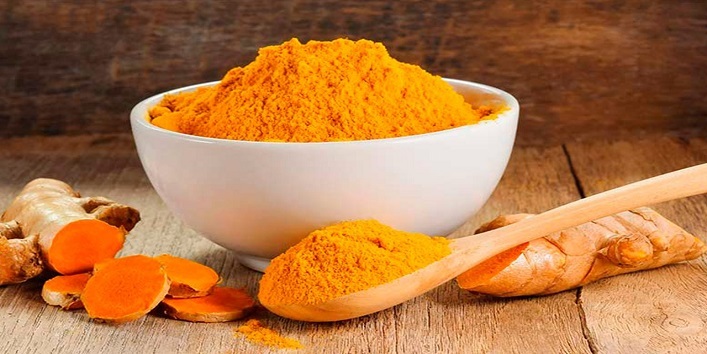 Turmeric is one of the best natural ingredients that can help in maintaining both health and beauty. 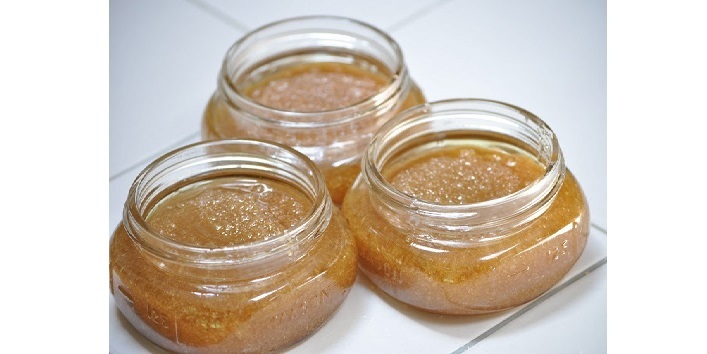 Plus, it also acts as a natural bleaching agent that can help in lightening your dark underarms.. And the honey present in this scrub helps in restoring the natural moisture of your skin. Take a small bowl and mix 1 tablespoon of milk with 1 teaspoon honey and turmeric. Now, apply the paste over your underarms and gently scrub for 2-3 minutes in circular motions. Then, leave it on for 15 minutes. Later, rinse off with normal water and pat dry. For best results use this scrub twice a week. 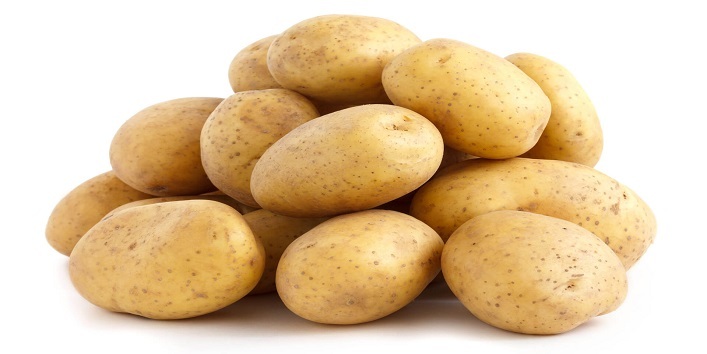 Potato is best known as a natural bleaching ingredient, and it is also rich in vitamin C that helps in clearing clogged pores. First, cleanse your underarms to get rid of dirt and sweat. Now, rub the potato slice gently in circular motions. Later, wash off with normal water. Use this scrub thrice a week for desired results. Both white and brown sugar are considered as best natural exfoliators and regular use of it can help in treating tan and clogged pores. And when it is combined with olive oil, it helps in locking the moisture to maintain the health of your skin. In a bowl mix 1 tablespoon of olive oil with 1 1/2 tablespoons of brown sugar. Now, apply the scrub to your underarms and scrub gently for 2-3 minutes. After that rinse off your skin with water. 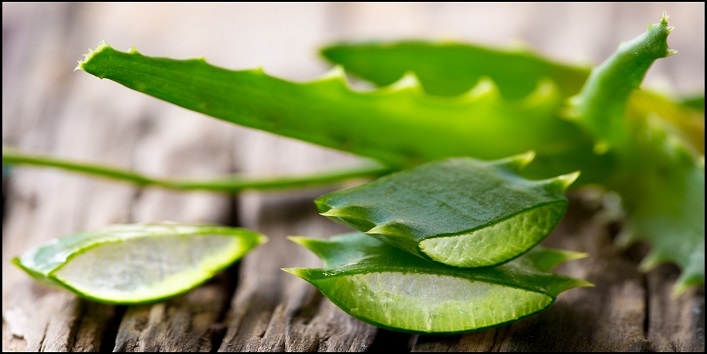 Aloe vera is one of the most powerful ingredients. It also helps in preventing the production of tyrosinase, which is basically an enzyme that makes your underarms darker. First, cut the aloe vera leaf and extract the gel with a spoon. Now, apply the extracted gel to the affected area and gently scrub. Later, rinse off your skin with water. For best results, use this scrub every alternate day. When apple cider vinegar and baking soda are mixed together they react and give out an organic salt which can act as a natural exfoliator. 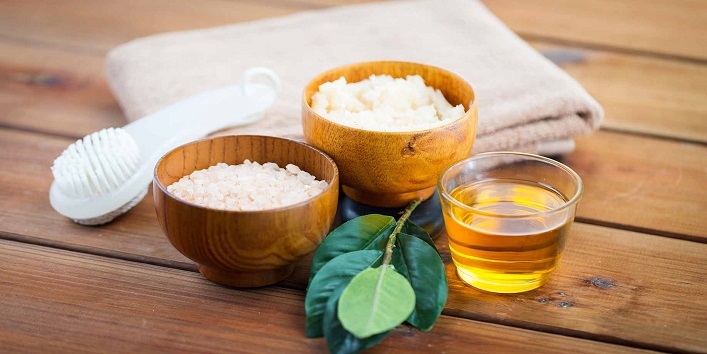 Take a small bowl and mix 2 teaspoons of apple cider vinegar with 2 teaspoons of baking soda. Apply the mixture to your underarms and scrub for 2 to 3 minutes. After that leave it on for 15 minutes. Later, rinse it off with normal water. Use this scrub twice a week to get best results. Baking soda is considered as one of the best natural exfoliators and when it mixed with coconut oil it only cleans up your skin but also restores the natural moisture of your skin. Besides this, it also helps in killing the bacteria that makes your underarms dark. 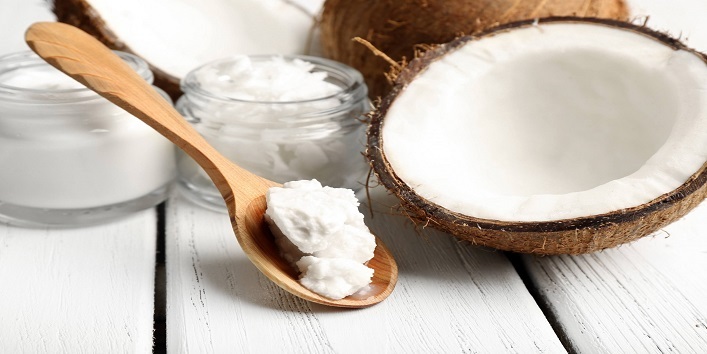 Take a bowl and combine 1 tablespoon of coconut oil with 2 tablespoons of baking soda. Later, rinse off your skin. Sugar is considered as the most easily found exfoliator. All you need is to pair it with a mild bleaching agent to clean up your underarms. 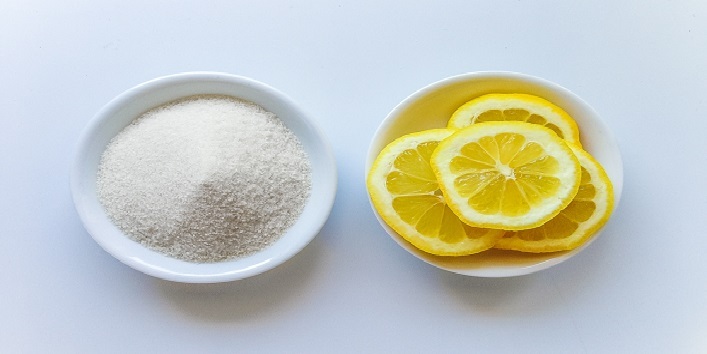 Take a small bowl and combine 1 tablespoon lemon juice with 2 tablespoons of sugar. After forming a thick paste, apply it to your underarms and scrub for a few minutes. For clean and lighter underarms use this scrub twice a week. This scrub not only helps in removing dead skin cells but also helps in getting rid of the germs that can cause skin irritation. 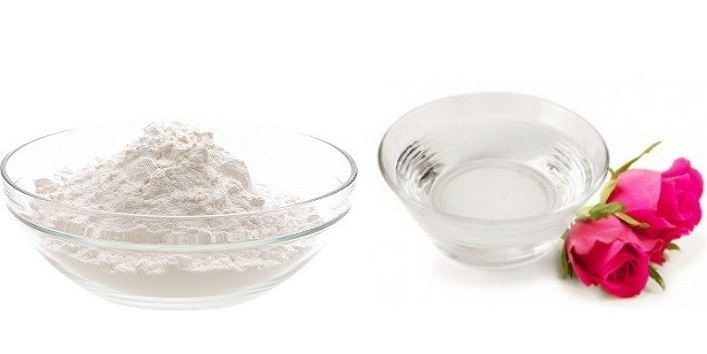 In a small bowl, combine 1 tablespoon of baking soda with 2 teaspoons of rose water. Later, clean off your skin with warm water. So, these were the few homemade scrubs to lighten dark underarms.